1965 Born in Gojozaka, Kyoto. the Exhibition of Japanese Traditional Arts and Crafts". 1991 Won a prize in competition at the Exhibition of Japanese Traditional Arts and Crafts. own kiln in Shiga prefecture. individual exhibition at Takashimaya (one of the major department stores in Japan). 1996 He has been joining the “Ho-rai” exhibition presented by Uichi Shimizu. 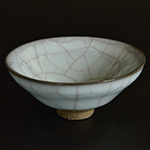 1997 He won a prize in competition at “Choza Ceramic Art Exhibition”. Since this year, he started having individual exhibitions. 1999 He has been having individual exhibitions in Tobu Ikebukuro Department store since then. Had an individual exhibition at Eikosha Gallery. 2000 He won a prize in competition at the Exhibition of Japanese Traditional Arts and Crafts and was accepted as a full member of The Japan Arts and Crafts. 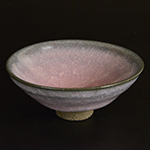 He won a prize in competition at the second “Contemporary Tea Pottery”. Since then, he started having individual exhibitions at Mitsukoshi (one of the major department stores in Japan). 2001 Joined a special exhibition called CRIA presented by Kyoto Art Center . Copyright © 2019 KURODATOEN Co., Ltd. All rights Reserved.